Often in our digital world, just one accidental slip of a finger can lead to the permanent loss of precious photos, videos or songs. Within only few seconds, recorded memories and experiences can be lost forever. Luckily, with the right software solution there is hope. The new O&O MediaRecovery V11 makes this sort of accidental deletion a thing of the past. O&O MediaRecovery is a popular data recovery tool that has been optimized specifically for recovering deleted multi-media files lost through virus attack, program crash or simply through pressing the wrong button. 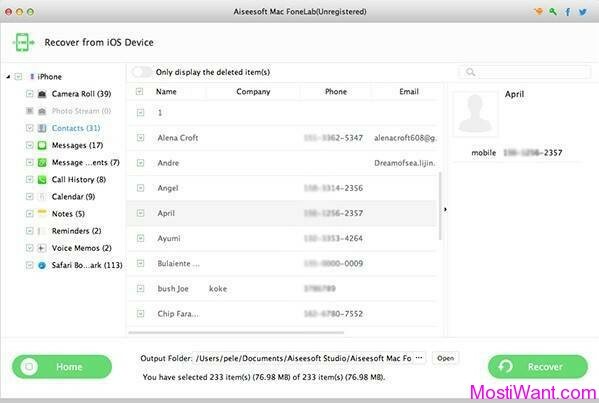 Simply install O&O MediaRecovery on your computer and connect the storage volume from which you wish to recover data. 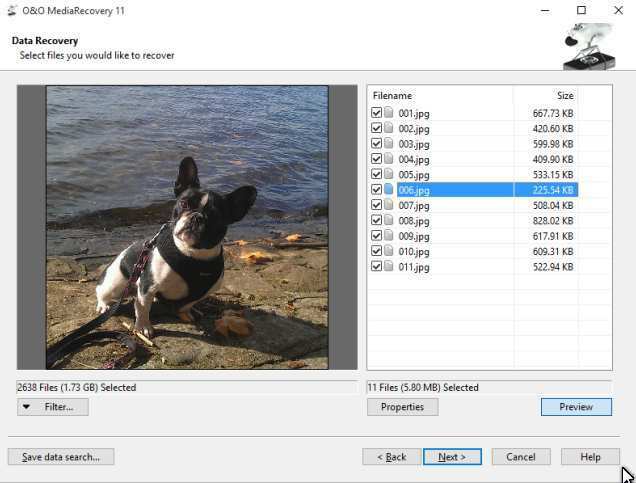 After the program starts, the O&O MediaRecovery wizard guides you step by step through the recovery process so that you will quickly regain access to your lost data. After completion of a scanning process, you can even view the files that are capable of being restored before you decide which ones you’d like. The preview function of O&O MediaRecovery supports most picture formats, including JPEG, BMP, and TIF. O&O MediaRecovery Professional Edition is normally priced at $49,95 per serial number / license key. But O&O software is currently offering everyone a full version license for O&O MediaRecovery Professional Edition for free. It doesn’t say how long this offer will stay free, so if you’re interested get it now before it’s too late. O&O MediaRecovery 11 Professional Edition is not the latest version because O&O software has released O&O MediaRecovery 12 Professional Edition sometime ago. But this does not mean in any way that it is useless or obsolete. The features available are still current and compatible with the needs of a regular user. 1, Visit the O&O MediaRecovery giveaway page here (German Page), enter your email address and submit it. 2, Check your email and confirm your request with the link they send you. Take note the email can take quite a while to arrive depending on traffic load, so be patient and make sure to check spam/junk/promotions. 3, You will receive another email from O&O Software <[email protected]> with the free serial key and download link for O&O MediaRecovery 11 Professional Edition. Take note the email can also take quite a while to arrive, so be patient and make sure to check spam/junk. 3, The download links in that email are of German version. 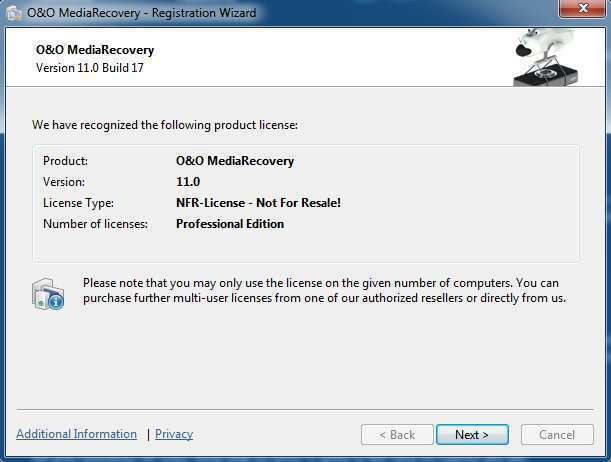 You can download O&O MediaRecovery 11 Professional Edition (English Version) from this page. 4. Install O&O MediaRecovery 11 Professional Edition. Use the registration information (Name, Company, and License Key) you received via email to unlock the full version. O&O SafeErase 11 Professional Edition For Free. is very much still active!!!! will give it a whirl !! @Maya, Sorry that the new giveaway didn’t last long and it has already expired. Better luck next time! @ mrbrentcc, Sorry that the giveaway have expired now. Better luck next time. 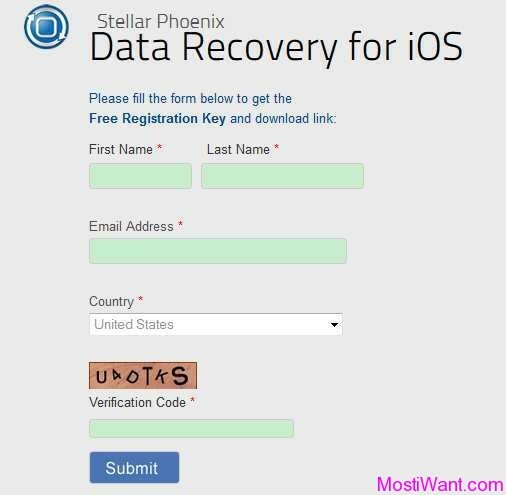 Thanks for publishing this very exciting recovery software.